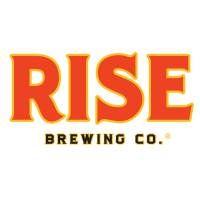 Home > Companies > Featured Brands > RISE Brewing Co.
NYC-based RISE Brewing Co. brews and distributes nitro cold-brew coffee kegs and cans to offices, bars/restaurants and cafes throughout the northeast (e.g. NYC, CT, MA, PA, RI, ME, VT, NH) and west coast (e.g. LA, SF, San Diego). Our coffee is kosher, organic, non-GMO, fair-trade, single-origin, and <5 calories. Think a super light, refreshing stout beer meets iced coffee, with a frothy head, no dairy and no additives. An infusion of nitrogen gives RISE its distinctive, creamy cascade. Some of our clients include, Fairway Markets, Kings/Balduccis, Juice Press, Facebook, Apple, Honest Company, CAA, WME, ESPN, Palantir, NY Yankees, NBA, and many others! Please visit www.risebrewingco.com for more information!